Peach season is the best season, am I right?! Everything about this dreamy summer shoot makes me want to go back to this perfect day with the people who helped make it all come together. This was my first ever styled shoot almost exactly a year ago to the day, and I get the best kind of chills just thinking about it! 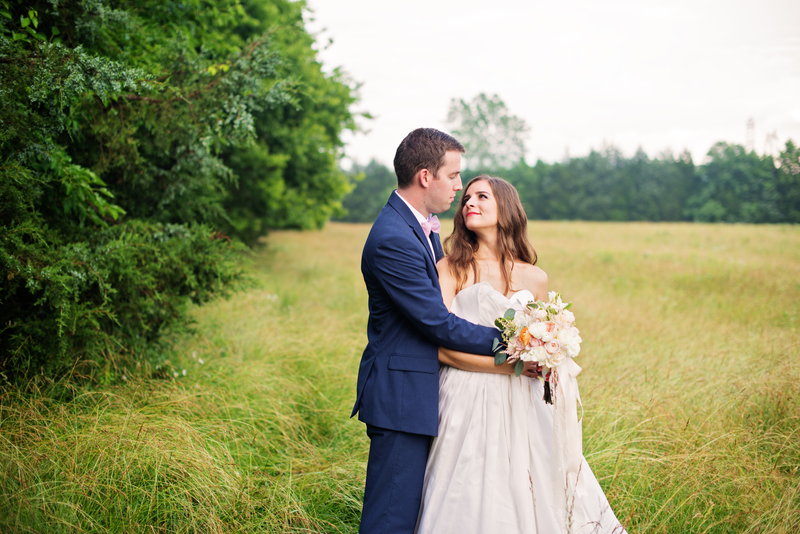 Peaches and the sweetest real-life bride and groom, yes please! It is still such a special and meaningful shoot to me, and working alongside Ashton Kelley Photography is always the biggest joy. We loved seeing this shoot featured on Every Last Detail last week, and a huge thank you to them for sharing this editorial shoot! I was so, so excited to finally be able to pull a styled shoot together, and I poured so much thought into every detail. This was the first ever centerpiece I made, overflowing with Juliet garden roses (my fave! ), garden roses, and ranunculus. I was able to utilize gold & white china passed down from my great grandmothers, borrow gold flatware from a dear friend, use names of special significance when writing the calligraphy place cards, and incorporate peaches (I grew up in Georgia!) into the design, which made this shoot even more meaningful overall! This shoot brings together classic Southern charm and personalized, meaningful touches that tell a beautiful love story. The romantic, timeless details are intertwined with the rich culture and traditions of the South. I wanted to bring my wedding brand to life through a styled shoot using details that evoke a classic, romantic feel with summer colors of peach, coral, and dusty blue. And can we talk about this cake for a minute?? Delicate white ruffled tiers, intricate gold lace detailing, and topped off with a peach Juliet garden rose. Absolutely exquisite! As a Georgia girl, peaches are the epitome of the quintessential Southern fruit, and this inspiration shoot was designed around peaches and the sweetness and vibrancy of a ripe peach! Magnolias, fresh peaches, family heirloom china, dripping candlesticks, and cocktails all meld together to inspire an effervescent celebration of love, an appreciation for the South and Southern hospitality, of family and traditions, and the start of a beautiful, sweet marriage. I am more than a little in love with this image!! 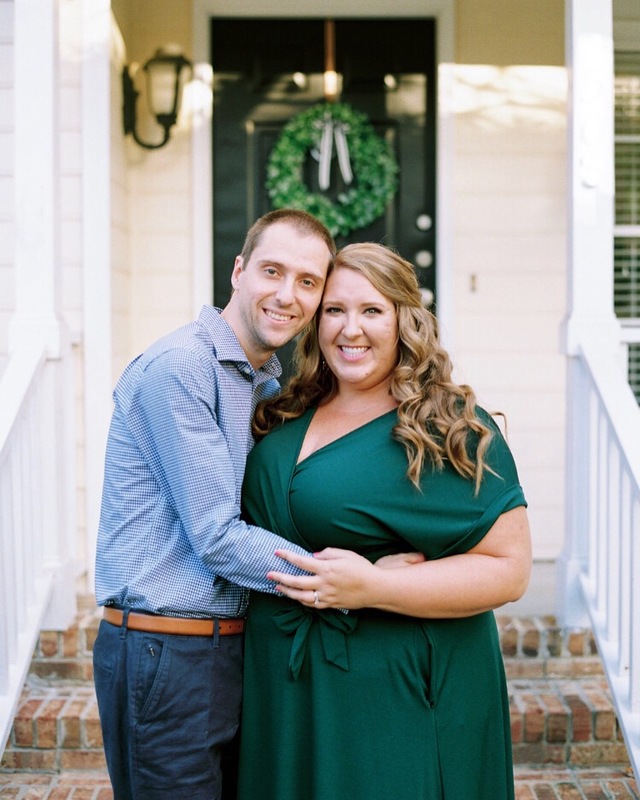 I love all of the Southern elegance of this gorgeous and oh so in love couple. They exude love in every way! 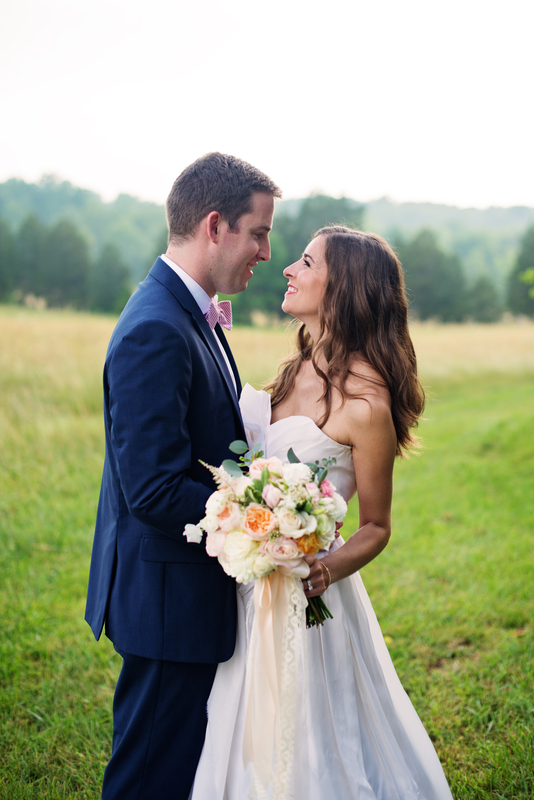 From the lush orchard to the sweet Southern bride and groom to the cheery, light and bright bouquet bursting with my favorite blooms, these two were the perfect match to make this shoot come to life. The bride and groom are close friends of mine and their love story really shines through, as they celebrate their “Oh Happy Day,” enjoy a beautiful gold lace and ruffled wedding cake with their guests, spend a quiet moment alone on the front porch soaking in the beauty of their wedding day, and toast to this celebration of their love and their future together. 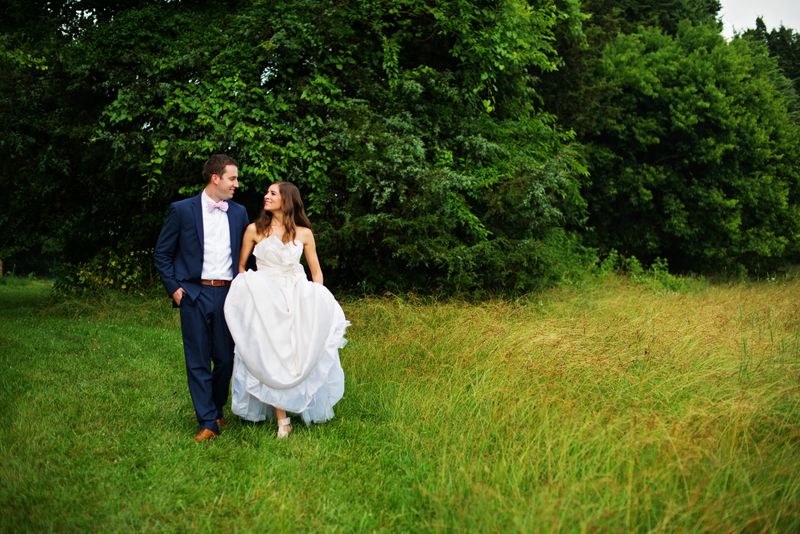 The Virginia countryside and peach orchard is the perfect setting for an iconic, sweet love like this one.